Pip Wilson bhp: Blob Tree Materials -FREE downloadable GUIDE to get you started - the best of communication resources. 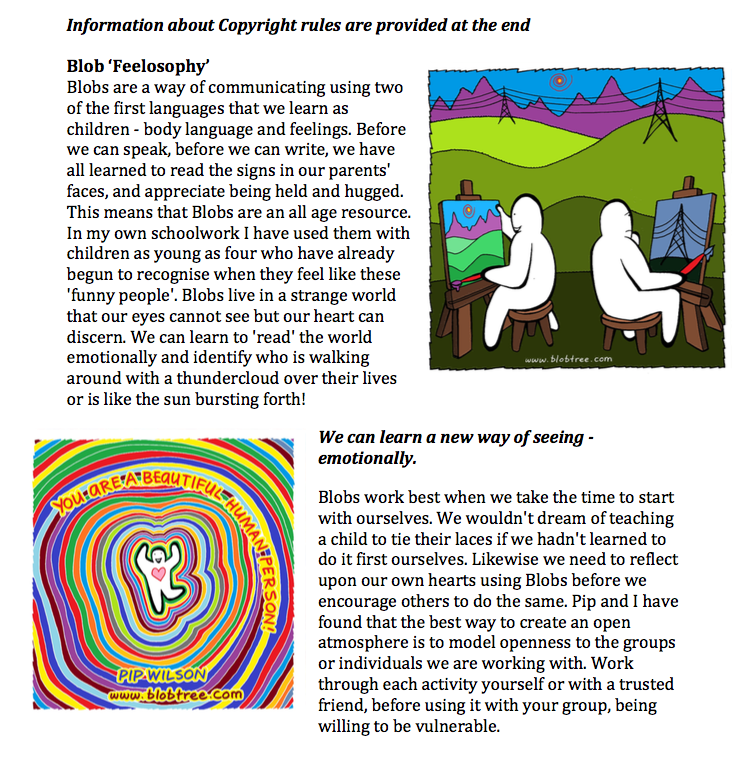 Blob Tree Materials -FREE downloadable GUIDE to get you started - the best of communication resources. This SAMPLE above is 1 of 8 pages. Many people have yet to discover the Blob Tree materials. Yet they are used world wide as tools to aid communication. Especially the hard to reach. They are well used in helping all ages to develop social & emotional awareness and skills. Emotional intelligence - emotional literacy - mental health challenges and many more. There is something magical how even young children can read Blob communication. In any nation world-wide. Primary communication - facial expression and body language. Of course you will need to experience for yourself to feel/see the benefit of using Blobs. The FREE download GUIDE is for you. www.BlobTree.com ................ is the place to go to see the range of tools available to download. Miss you my friends - you lift my soul. An experience in our life will trigger feelings. "You just made my morning ........ "
Prison is an Education - a BAD ONE ! My first book. Gutter Feelings.